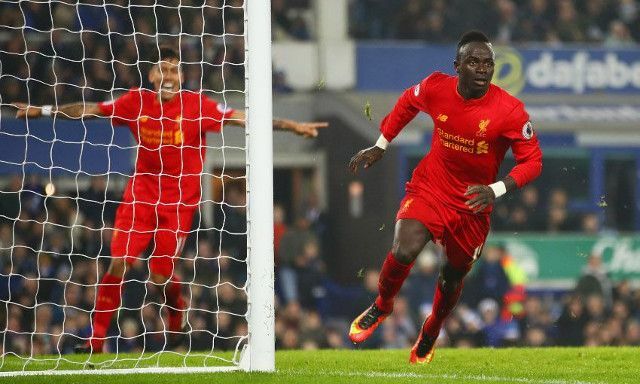 Sadio Mane will be hunting down yet another Robbie Fowler record when Liverpool come up against Everton at Anfield on Sunday. The forward scored a hat-trick in two minutes and 56 seconds for Southampton against Aston Villa in 2015, smashing Fowler’s 21-year record of three goals in four minutes and 32 seconds against Arsenal in 1994. Mane is now looking to become the first person to score in three straight Premier League Merseyside derbies since Fowler in 1996. 3 – Sadio Mané could become the first player to score in three successive Premier League Merseyside derbies since Robbie Fowler in November 1996. Worship. Liverpool’s flying winger proved to be a thorn to Everton’s derby hopes last season, first scoring a dramatic stoppage-time winner in a 1-0 victory at Goodison Park, before opening the scoring with a superb solo goal in April’s 3-1 win. Mane’s sudden rise to goalscoring form marks bad news for the Toffees, especially with the likes of Philippe Coutinho and Roberto Firmino also beginning to provide goals alongside the prolific Mohamed Salah. A brace in Wednesday’s 7-0 Champions League win over Spartak Moscow followed up a cooly finish in the 3-0 win over Stoke to take the Senegalese forward to seven goals for the season. Salah himself will similarly be looking to maintain his impact, having played a part in a league-high 15 goals in his first 15 games for the Reds, scoring 12 times and contributing three assists. Logically speaking, Sunday’s derby is one Liverpool are well-equipped to come out on top in. But it is a derby, after all.